A new, lightweight top head drive to replace a combination of hydraulic motors and gearings. This is a larger series than the 2,000 swivel with a watercourse up to 2 inches. For a large shaft hydraulic motor. This top head drive is available with manual breakout (latch) or automatic breakout system. 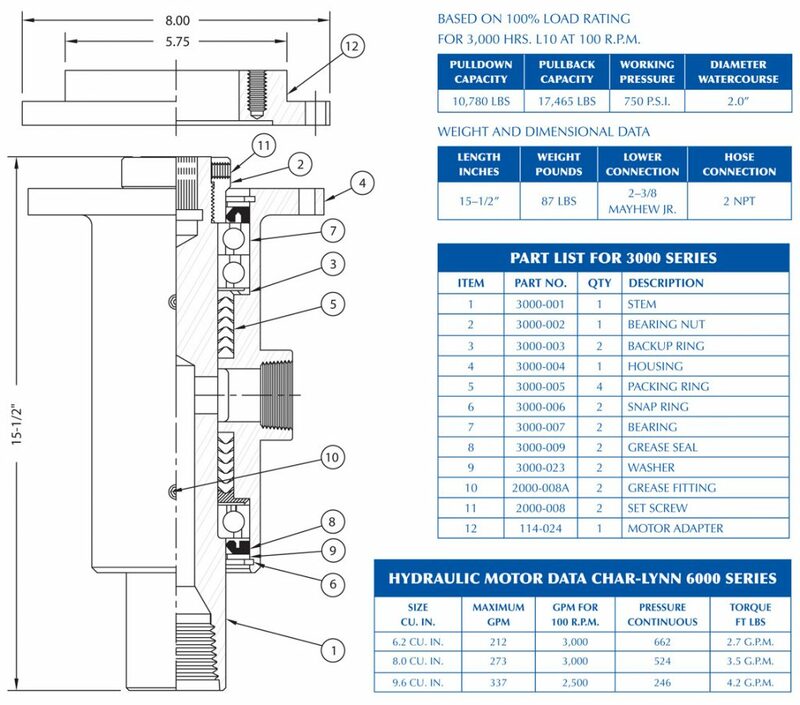 For larger hydraulic motors such as the Char-Lynn 6,000 Series, or a CALZONI or S.A.I. 400 series. Char-Lynn Motors available in 11.9, 15.0, 19.0, 23.9, 30.0, 38.0 and 60.0 CU. IN./REV.